SEOUL, June 6 (Yonhap) — Popular South Korean singer and actor T.O.P of boy band BIGBANG has been hospitalized for an apparent drug overdose, his Seoul-based agency said Tuesday. YG Entertainment said the 29-year-old rapper, whose real name is Choi Seung-hyun, is currently receiving treatment at an intensive care unit of a Seoul hospital. The agency first reported that Choi was found unconscious, but police later denied that he was in critical condition. Police said T.O.P appeared to have overdosed on tranquilizers that he has been taking for medical reasons. He took the pills about 10 p.m. Monday, but couldn’t wake up by noon, which apparently caused others to take him to the hospital. The incident occurred just a day after he was indicted without detention on charges of smoking marijuana. Seoul prosecutors on Wednesday announced that Choi is suspected of smoking the banned substance four times with a 21-year-old would-be singer, only identified by her surname Han, at his home in Seoul in October last year. Choi has been serving his mandatory military service as a conscripted policeman since February. 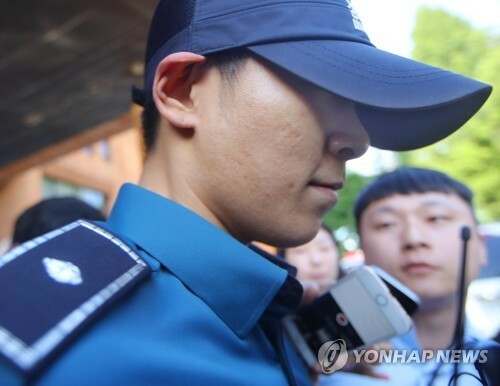 He had worked at the Gangnam Police Station in Seoul, but was transfered to a different police corps in eastern Seoul following his indictment. His military service period will be put on hold until a court reaches a verdict. If he receives a jail term of 18 months or more, he will be dishonorably discharged from the service. The use of marijuana is banned in South Korea and can be punished with a maximum of five years in prison or a fine of up to 50 million won (US$44,640).